How was your week? Nick and I went to ikea on Wednesday, ikea is the best. You really can't go wrong with a $30 dollar desk. It's simple and just what I needed. So I spent all day cleaning and organizing and throwing things away yesterday. I forgot how wonderful it is to have a clean room - I really haven't had my studio organized in a long time. So now I'll be able to post a studio tour soon. I am still waiting on the photos from my photographer but I am super excited about them and I know they will be great! We're having some fabulous guest bloggers next week! See you all on Monday! gorgeous! love the sneak peek. I am in love with that photo of you two! Such love and beauty in that simple gesture. Very nice pictures. I love the desk, too! I need something like that for my sewing machine. Do you think the size would work for that? I love Ikea too! I feel like a kid in Disneyland there!! Its so great to hear about Capernwray friendships! I was there in 06.
aw yes :).... IKEA. my fav place ever. i can spend HOURS in that place and come home with more than two bags worth of stuff that I didn't go in to get in the first place.. but they always seem to be neat, practical, and cheaply priced things! :) So glad we're in sweden now so I can be surrounded by them! Can't wait to see pics of your work place and of course WEDDING!!! And yay for studio tours! Can't wait! I just checked out the Bible school you went to.. how neat to escape to England to study Jesus and yourself. The setting looks beautiful. I am so excited to see your wedding photos and all the pretty things you made. Haha I used to work in the desks section of Ikea, glad you like the store! And I am very much looking forward to your studio tour! Thanks a beautiful moment she captured!! I can already tell from the sneak peek that it was most definitely a beautiful event! Can't wait until you showcase more photos! Lovely pics! 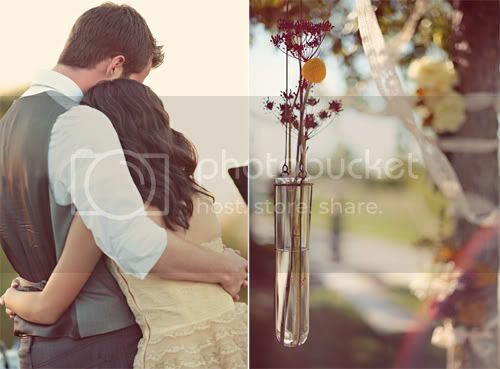 You can just feel how intimate your wedding was and how filled with love it was! Gorgeous, gorgeous, gorgeous! Congrats Miss Danni (now a Mrs!). You are always inspiring... thanks for being part of my first year (already) of blog! Beautiful couple picture, really beautiful.